Toronto Blue Jays outfielder Anthony Alford was optioned back down to the Triple-A Buffalo Bisons on Thursday, the team announced. 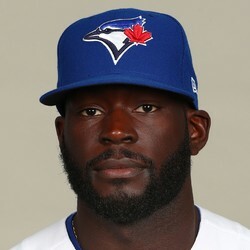 Alford had been promoted in the wake of the trade that sent outfielder Kevin Pillar to the San Francisco Giants, but it seems like that move was only temporary until the Blue Jays were able to settle their roster and officially add Sócrates Brito and Alen Hanson. Alford will return to the minors where he will continue to work on his offensive consistency in hopes of being able to better utilize his raw power and speed.